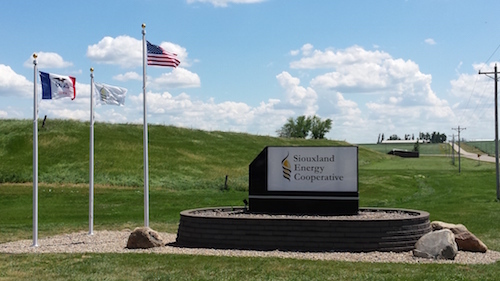 Siouxland Energy Cooperative is a 501 Cooperative that has elected Partnership tax treatment. Siouxland Energy is owned by 385 members (as of 12/31/2017) who are primarily agriculture producers and they supply a significant portion of the plant’s corn supply requirements. Each member of Siouxland Energy owns 1 voting stock, which gives them the right to have one vote at meetings that are held for the membership. This voting stock is not transferable. Each member also owns a minimum of 10 equity shares that are transferable. Please read the information below and click on the links to learn how to buy & sell equity units in Siouxland Energy Cooperative. Siouxland Energy's Equity Units are traded online at www.fncagstock.com Or call FNC Ag Stock, LLC at (701) 780-2828 or toll free at (855) 827-7391 for assistance. Click here to download a full Trading Schedule. Please click on the following links to review a summary of trading rules, policies and requirements to be a member of Siouxland Energy Cooperative. When selling shares, please be sure to sign off the back of your certificates. Click this link below to see how to properly do so.